As I was searching for a drama to watch this week in commemoration of Halloween I realized that there are just not a lot of truly scary kdramas. There are a plethora of Korean horror movies, but when it comes to kdramas it is a highly overlooked genre. Is it because of the censors? Probably, since they even blur out knives because of public sensitivity. But whatever the reason, it took some work to come up with a list that might give you some chills and thrills. So come join us fangirls as we chat about the scariest dramas out there. Did we miss your favorite? Be sure to let us know what your Halloween dramathon choice is in the comments. **This has been updated as of 10/1/2016 for more recent drama releases. KMUSE: This is probably the scariest out of the options. Only 10 episodes, it is a fast paced scary ride full of murders, ghosts, and truly messed up concepts of justice. We see sweet Ha Na ( Im Joo Eun – Wild Romance, Whats UP) witness multiple murders including that of her twin sister. Upon going a little crazy, she emerges possessed by her sister’s vengeful spirit and is used by profiler Shin Ryu (Lee Seo Jin – Damo, Gye Baek) to murder people who had escaped justice. If you want the, in your face scare, then this is your drama. I often jumped because of the ghosts and I would personally not watch this before bedtime. However, it does have slight jumps and holes in the plot so don’t expect a masterpiece when it comes to the script. KMUSE: I know that if you were judging from the title alone you would assume that this is either super cheesy or something via twilight. However, viewers are surprised to find a really solid crime drama behind the weird title. And although this is not a traditional scary drama like Soul, it does have its suspenseful moments. And even better than that, it has Yun Jung Hoon (I summon you gold, Can love become Money) playing Prosecutor Min Tae Yeon. And he is all kinds of gorgeous, amazing, charismatic, stick a bow on him and give him as a present, hunk of Korean male. Through two seasons we follow him on his quest for justice against both the living and the undead. Turtle Maknae: I tried to watch this once a couple years ago but couldn’t get into it. I don’t remember why but I seriously wonder why more shows don’t get second seasons. KMUSE: This is my go to drama when I want something well written and super suspenseful. This drama takes us to Susin High School, nicknamed “Prison High,” it is an elite school attended by the top 1% of students in the country. Stuck in the middle of the mountains with no outside influences, the only thing that the students do is study and wait for Christmas break, to leave for a week to visit their families. This Christmas 7 students and a teacher remain and are confronted with a killer among them who is interested in finding out if monsters are created, or if they are born. With one of the best up and coming cast of young actors, it is an amazing drama that feels reminiscent of a good Agatha Christie murder mystery. Turtle Maknae: Kim Woo Bin with Red Hair? Yes Please. KMUSE: One of the biggest hits of 2013, The Masters Sun is the story of Tae Gong Shil (Gong Hyo Jin – Greatest Love, Pasta) whose life is falling apart because she is able to see Ghosts. When she discovers that the ghosts disappear anytime she touches Joo Joong Won (So Ji Sub – Ghost), she becomes determined to stay close to him regardless of the costs. While this drama has its share of spooky, pop out at you ghost, it is more a romantic comedy than a horror drama. So, if you are looking for something of a lighter scary nature, then this is a safe bet. It has a sweet romantic story from start to finish and I truly enjoyed all of the characters. CLKYTTA: I have watched this drama about six times, it’s in my top 10 favorite list. I love the idea of soul mates and that one person who makes everything in your world make sense, or in this case, keeps the ghosts away. I liked how every episode was a different story, but a continuation of the main story. Also, I had major Second Lead Syndrome with Seo In Guk’s character, but I totally approved of how his story played out. Turtle Maknae: I loved everything about this drama. Despite being a pansy when it come to scary stuff, this is one of my favs. I found her ability to freely touch him (unlike some dramas where a single brush of shoulders can turn a girl into a brick wall) and even tease him about touching him refreshing. His “It cost such and such amount to touch me” was hilarious and probably a front. They were absolutely perfect together. I was so happy about how this show ended. KMUSE: Sign is a tightly written medical investigation drama about forensic doctors solving murder cases. While from first glance this looks like any other murder/medical drama, it starts to surprise you from the beginning, and as you delve into the murder of an Idol Star, it leads to the hunt for a cunning Serial Killer. Some of the best suspenseful moments in any kdrama I have watched to date were in this show. The OST creates a mood of frantic energy which just heightens your watching experience. Be sure to stick with this drama to the end since it has one of the best dramatic endings that I have ever seen. I literally forced my mom to finish this one because it is that good. 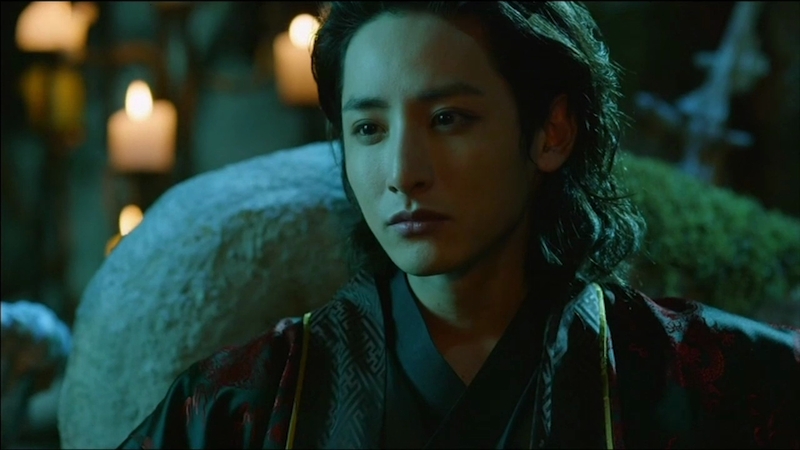 KMUSE: “Scholar Who Walks The Night” is a Sageuk about a man who is turned into a vampire to fight against an evil vampire that is the power behind the Joseon throne. I will give Scholar credit for trying to be a bit scarier than your normal kdrama. Sadly, I tended to laugh at most of their “scary” scenes. This director’s concept of vampire angst just has me rolling with laughter. Poor Lee Joon Ki had to really go all out and try to show blood lust angst, but it just didn’t work. Still an entertaining watch despite the lack of scary moments. CLKYTTA: I was so excited about this drama, and I wanted to like it so much, but it never really measured up for me. I also laughed at the scary parts. It wasn’t a bad drama, but the only thing that really redeemed it for me was the vampire eye candy, Lee Joon Ki and his guyliner made it all worthwhile. Old secrets, affairs, possible serial killers, and oh so much more. “The Village” is a smorgasbord of intrigue as we join a sleepy little town and its newest resident as they uncover the towns dirty little secrets. The director really tries to give a suspenseful feeling without the actual horror aspect and can be enjoyable if you are in the mood. CLKYTTA: I’m almost scared to say this one has potential. It started out kind of rough with lots of disconnected storylines that only start to make sense by episode 4. There are some interesting characters in this one, an overzealous rookie cop, a cross dressing amateur photographer, and your typical Nancy Drew type kid who’s determined to solve the murder. This drama could be really good, or it could veer off into crazy town and make no sense at all. I’m going to try to stick it out. KMUSE: I need to get back to this one. After two episodes I still am not feeling it, but I hear a lot of people love it so will continue watching. Hope these help you in your quest for some good drama thrills. Have a Happy Halloween! Master’s Sun is also one of my favorite dramas! I have Sign in my queue on Dramafever, so I will get to it once I am done with School 2013. After your review, I think I might give Vampire Prosecutor a go as well. For sure give it a chance. It takes an episode or so to get hooked, but so worth it.